"Discounting Core i3 (mainly found in budget systems) and AMD processors (another article entirely), the difference between Intel Core i5 and Core i7 can seem daunting, especially when the prices seem so close together once they're in completed systems. We break down the differences for you." 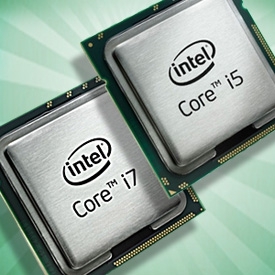 Have you ever wanted a summary of the differences between these two processor families? If so, a recent PC Magazine article may help. While both processors are infinitely capable, there are some benefits to the Core i7 family in certain circumstances. The article compares the processors along the lines of price and marketing, performance, cache, turbo boost, hyper-threading, and integrated graphics. It is not a deep-dive by any means, but it is a nice summary.